Have you ever heard about a great wine but could never find a bottle for yourself (to share with friends,of course)? Well, we do	all the hard work for you! We find, taste, and stock wine from the smaller Estates and independent winemakers who buy grapes and make outstanding wine under their own label – much the same as the French negociants have been doing for centuries. 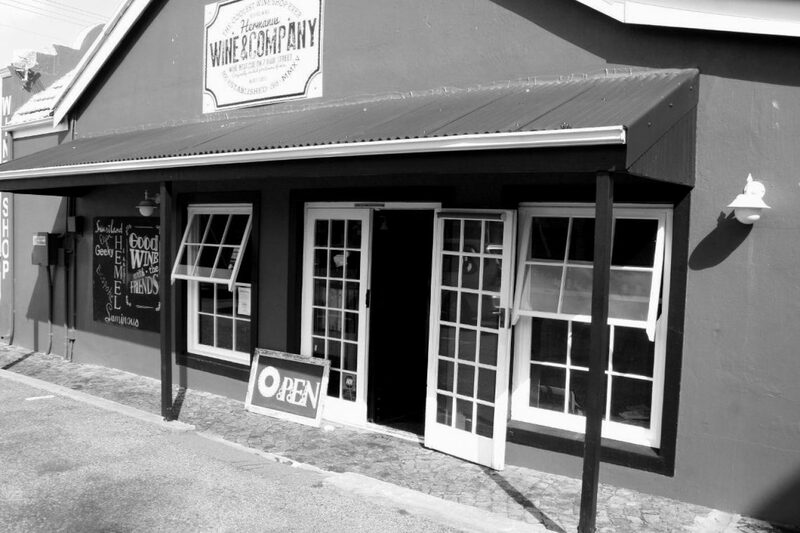 Given that they make wine in such small quantities, sometimes just a single barrel, their wine will never be found on the shelves of the major retailers, but only in specialist shops like Wine & Company on High Street, Hermanus. Wine & Company has a well-earned reputation for stocking hard-to-find small-batch wines and we strive to continue this great tradition. If you purchase a bottle of wine from us and it is faulty or you are not satisfied with the quality, we will gladly replace the bottle and return it to the winemaker. Feel free to contact us if you need a particular wine and we will do our best to source it for you. We are also able to ship wine to most countries overseas so please do ask about international shipping. Like us on Facebook, where you will be kept up to date with tastings and new arrivals.